Mr. Mack photographed the custom home while on assignment for Trip Bennett,A.I.A., and Smith Brothers Construction. 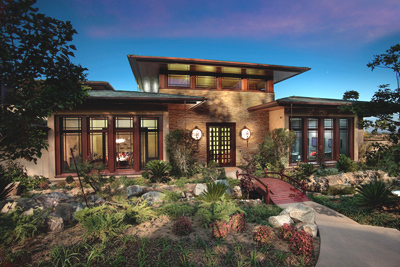 The home was featured in the June 2010 issue. Larny Mack is a 30 year veteran photographer specializing in commercial advertising photography with a concentration in architectural images. He has been featured in many magazines including San Diego Home/Garden Lifestyles Magazine, Luxe magazine and others. Congratulations, Larny, on your award!